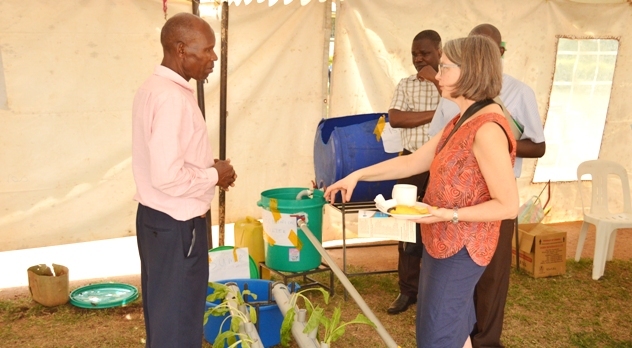 KAMPALA – Makerere University and Swedish International Development Cooperation Agency (Mak-Sida) held an exhibition to showcase research and the latest innovations from different Colleges of Makerere University. The exhibition ongoing exhibition is one of the activities scheduled for the 2019 Makerere-Sweden Bilateral Research Programme Annual Planning Meeting which will run from 8th to 12th April 2019. 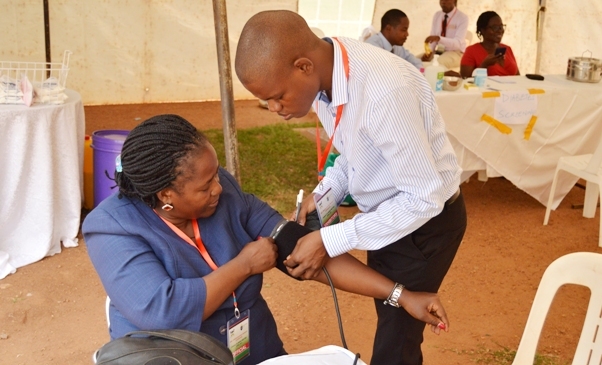 Exhibitors from the College of Health Sciences offered a free screening of Non-Communicable Diseases, checking for blood pressure, Diabetes and Body Mass Index (BMI). 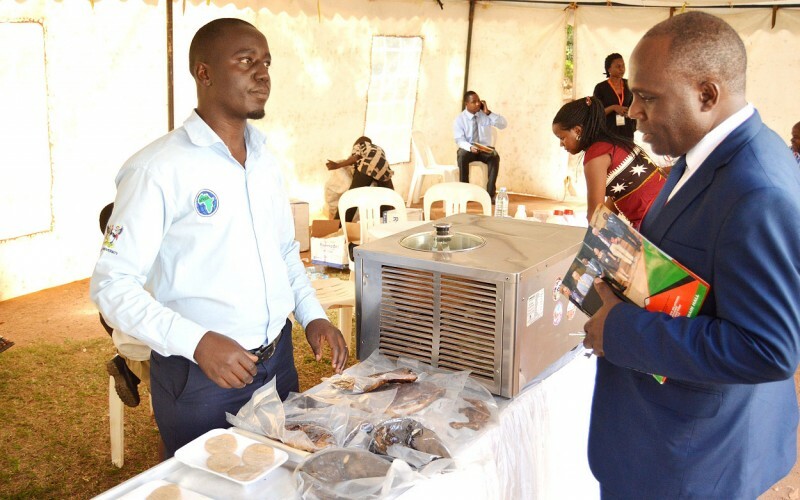 The Africa Institute for Strategic Services and Development (AFRISA), CoVAB showcased valued added fish and meat products such as sausages as well as smoked frozen and tinned fish which helps to give the delicacy a longer shelf life. They also exhibited products made from leather such as belts, shoes, and bags. MUCHAP has supported over 26 PhD researchers, several masters and undergraduate students from various universities in Uganda. They presented their recent research findings on population and Non-Communicable Diseases (NCD) risk factors survey carried out in Iganga and Mayuge Districts. The following are some of the recent studies conducted by MUCHAP; Injury and Disability study, implementing community dialogues to enhance patients reporting of diverse drug reactions (ADRs) to improve pharmacovigilance, TB Vaccine Trial Site Preparedness, and epidemiological and implementation research on Cerebral Palsy among others. The research and innovations showcased are funded by the Swedish International Development Cooperation Agency (SIDA) in partnership with Makerere.